Supreme, founded by British designer James Jebbia and established in 1994 in New York's Soho neighborhood, gained a special status among skateboarding connoisseurs with its streetwear-inspired clothing. "I tried to hold off on buying decks for as long as possible because I knew once I started I'd have to have them all," Fuller said in a video released by Sotheby's. 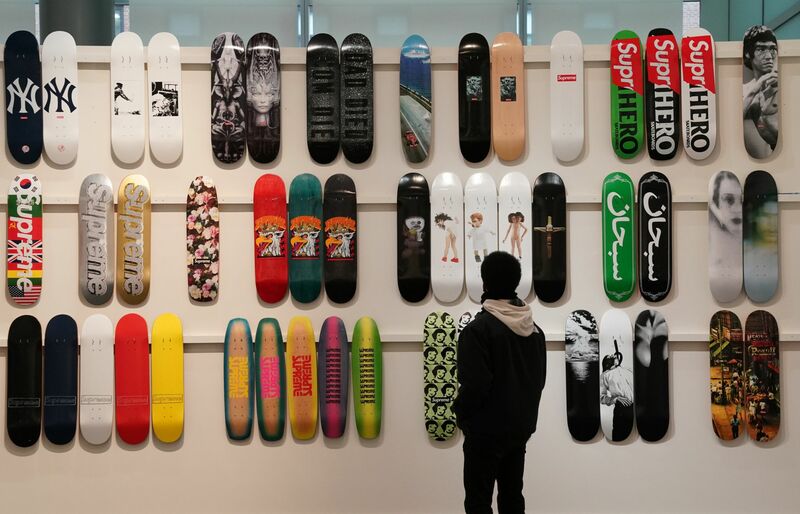 While the collection was sold on the lower end of its estimated value—up to US$1.2 million, according to Sotheby's—it is by far a record for skateboard sales. In 2012, a board owned by skater Jamie Thomas was purchased for US$38,425 at a charity auction organized by the Tony Hawk Foundation. And in June 2018, at a sale organized in Hong Kong by Sotheby's, a series of eight custom boards designed by American artist Kaws was auctioned for US$55,700. "We've seen an increase in value of skateboards over the last five years and it's a category we're really interested in doing more," said Sotheby's global head of e-commerce Noah Wunsch. "It's considered art. People like living with these boards," he told AFP.